There is no doubt that if you want to know what is happening in the burgeoning food scene in London you have to head East in much the same way that you have to head to Brooklyn in New York. And Saturdays are a day to head to Broadway Market. It epitomises what my friend Howard Saunders, a constant source of controversial opinionated inspiration, calls a Microtown. At the top end is the green open space of London Fields, The Cat & Mutton pub, Donlon books and the obligatory microbrewer: London Fields Brewery . At the bottom, just along from the canal which takes its waterway from the heart of London’s River Thames, is the equally trendy cycle cafe, Lock 7. The Butcher – Hill and Szrok are a snazzy master butcher who also have their own cookshop where you can order your meat and then eat it there and then with a glass of wine. Apparently this was the 15th century inspiration for the restaurant scene, or so they say. Whatever it is, the meat is fab. The Baker – Pavilion Bakery. They sell artisan breads, make amazing meals from them and showcase some of London’s best: Chegworth Valley juice, De Calabria olive oil and Newton & Pott jam, who incidentally produce very near to here and also attend the Saturday market. Their simple window which serves as stock, display and temptation into the brand is simple yet incredibly effective. The fishmonger – Fin and Flounder who retain all the values of a traditional fishmonger supporting anyone wielding a recipe or helping customers with how to cook their huge range of fish. Alongside those, come a world of modern day retail classics and food or drink outlets, which start with the most important these days, a third wave coffee roaster and purveyor of a great cup of coffee: Climpson and Sons. I wrote about Climpsons last week after the Coffee festival so won’t bore you any more about their great coffee but believe me, the queue spoke for itself. Set in the middle of this thoroughfare it is the heart of all that Broadway Market represents. Violet Bakery is Claire Ptak’s fabulous cakeshop/cafe. She was previously pastry chef at Chez Panisse and started her business on the market stall here, growing into her own shop in 2010. Whilst she is best known for her American style cupcakes, I remember her for the best birthday cake I ever received and know her to be absolutely finger on pulse with seasonal inspirational baking. Other producers in the area include the Meringue Girls, London Borough of Jam and Yeast Bakery who sell the best croissants in town (along with an impressive range of trendy Kouign Amann). Their hand crafted viennoiserie come from a team who set out to make the best croissant in London and I would argue they are there. In fact we sell them in Melrose and Morgan and it must be said our sales are stronger than ever. There are many other shops and stalls to browse through with the extended market now in the schoolyard along with the Netil Market further up Westgate Street, just before the arches housing Yeast Bakery among others. You can have everything that you need to buy: flowers, cheese, meat, bread, fruit & veg etc. along with finding everything that is fashionable to eat: from Bao buns to pulled pork, southern fried chicken to cold pressed juices, toasted cheese sandwiches to salt beef bagels. Along the way are other local craftspeople making jewellery, clothes, accessories, and much more. The whole area is thriving and is a great way to eat your way through a Saturday afternoon whilst getting a lesson in modern day community and retail. Forget Mary Portas and her governmental reviews, just head to Broadway Market which is estimated to be generating over £2 million annually and as such drives a thriving Microtown. I highly recommend it for anyone who has an interest in the London food scene and wants to see the possibilities of modern day retailing. I sometimes wonder if it is ever possible to come up with something genuinely new in the food world. Of course, there are unusual flavour combinations defined as fusion food, or a merging of two things into one, like the cronut. We are now so engaged with food that all we can do is merge ideas into something which gives added value or a quirky marketing message, rather than create new news. I know that my mind works on the combinations, connecting the dots in an unusual way. I like to open myself up to seeing what is out there and some time after, whether it’s in the bath or in a subconscious dream, I come up with something that I think will make a difference in my little food retail world. The hardest thing is to figure out whether it is madness or something that would actually catch on. So when I proposed a new way to do picnics to the team at Melrose and Morgan, it was with trepidation. Over the past few months, we have honed and developed that initial thought into something that we launch on Monday and that is really exciting for me. The idea came from a wide variety of thoughts and experiences. 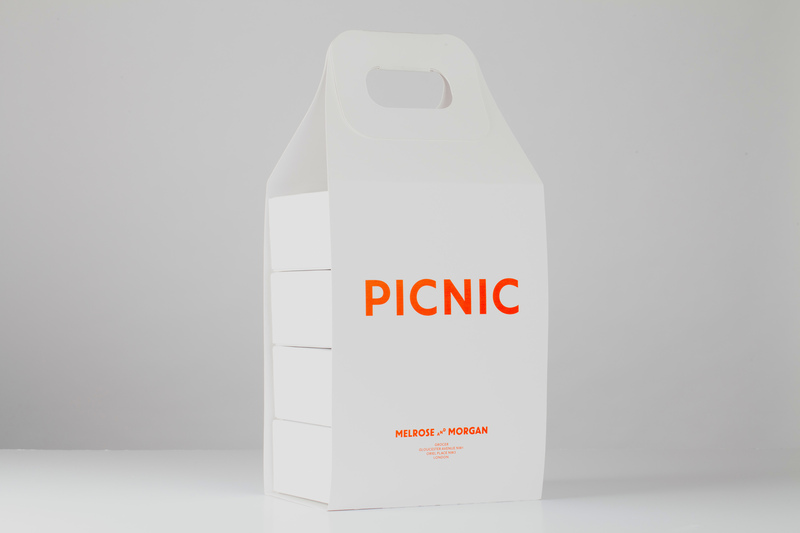 It was a nod to the fact that we all like to bespoke our food these days, that a picnic can feed a lot of people and you need to offer choice, and something that is flexible for my team to talk about in the shops. 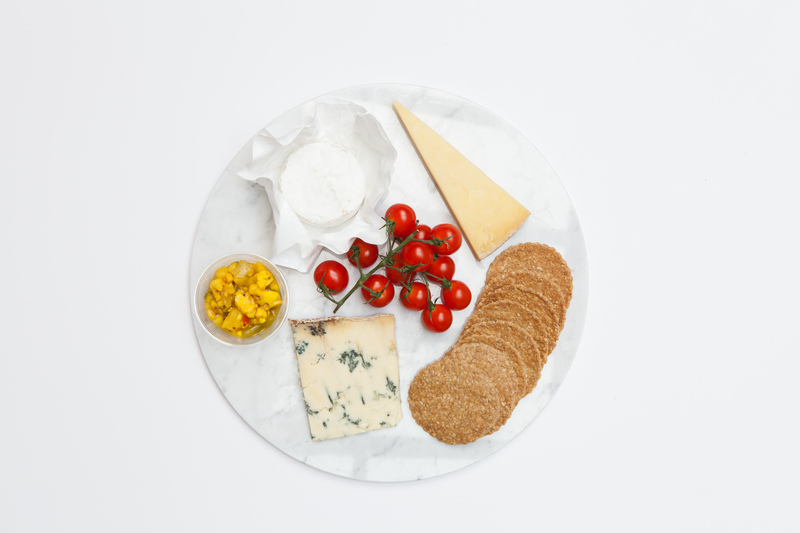 We pulled the concept together under a ‘PicMix and Match’ banner, creating a range of boards: cheese, meat, fish, vegetarian, sweet, including products from new suppliers to us including a baby buffalo brie from my friend M and wonderful cured meats from Cobble Lane Cured. They all come parcelled up so ideal for one or two, or you can stack them up together to build a really great picnic for lots to share. I guess the idea is, as I said in my introduction, not a new one. But the really interesting thing for me was to see the concept in my head evolve, whilst working with the team, into a new design that I am so excited about. 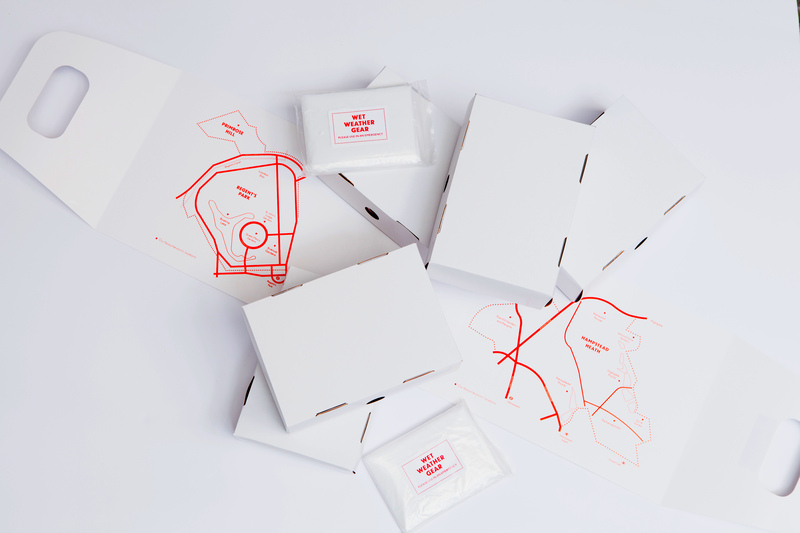 The trays themselves were difficult to source, as I find most packaging is. You really have to wade through a lot of samples to get both the sizes, quality, spec and price just right. But that was nothing compared to the outer wrap which hung the whole concept together. There is no doubt if you trawl the internet and review Pinterest for packaging that cardboard engineered wrappers have evolved over the years. You can see some of the products that inspired me on my board here. But there is a very long journey to be taken from having something in your mind to figuring out how to deliver hundreds of them into your shop within a couple of months. 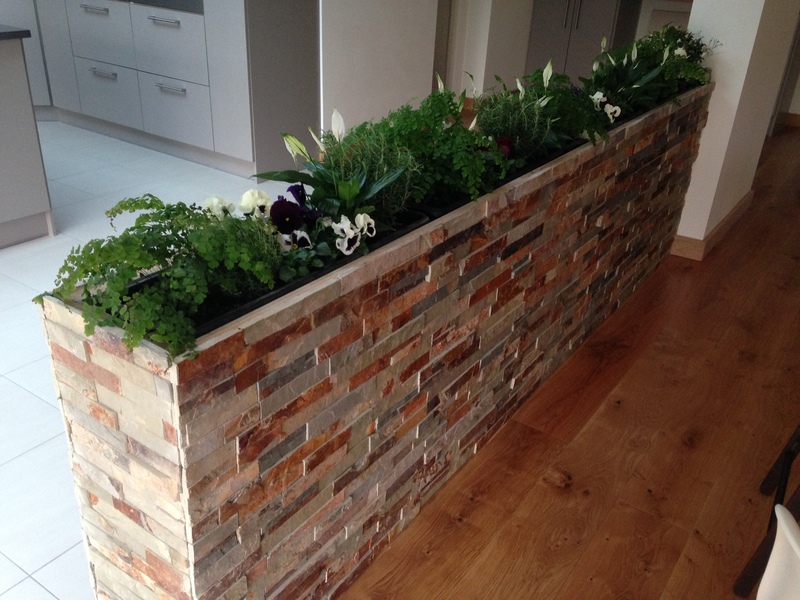 Our in house designer really did embrace the brief and brought it to life quickly. My marketing colleague spent many an hour folding bits of A4 paper into strange origami shapes that looked like mini handbags to see how we could design the mechanic. N had a brainwave for the inside print and the Chairman figured out how to seal the boxes properly. What none of us had fully appreciated was the role of the engineer in all this. Sadly my A level Physics allowed me to see where the fault was, but not how to solve it. We were able to stack up the boxes with the right weight inside, but as we ‘travel tested’ (read swinging stacks of cardboard trays in an outer around the office) the handle was not holding the weight. It was my sheer pig headedness that forced us not to drop the idea. We could easily have resorted to what we did last year, but one of the things I love about Melrose and Morgan is the fact that they have been leaders in their field from the very first shop which opened over ten years ago. So I kept on pushing. Three weeks ago we had our final meeting. 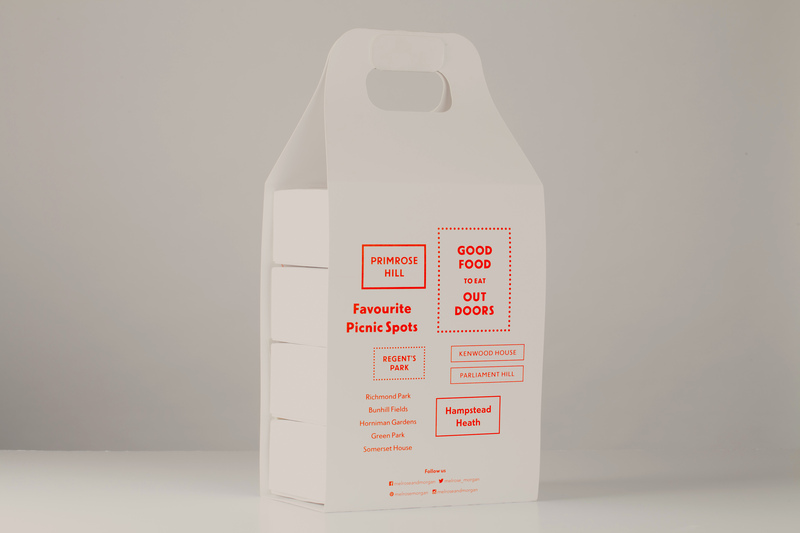 We had the contents sorted, the margins calculated, the inner trays sourced and the supplier on board to deliver the outers. Samples were sent. Cardboard mock ups were coated, different thicknesses and finishes on hand and we stacked up the boxes ready to fling around the office. I have to admit I was barely peeking out of the corner of my eye fearing that the handle would once again give and my concept would be thwarted. But wait. One small swing and all looked fine – two, three….in fact we gave that outer the time of it’s life and yes. It was fine! One week later we were sending a sample to the Evening Standard which resulted in this. And at the end of last week, we had all our staff trained and excited about selling this new picnic selection. So please, pop in or call us at Melrose and Morgan and enjoy a new PicMix and Match. It is something I am very proud of and I hope you will be too. 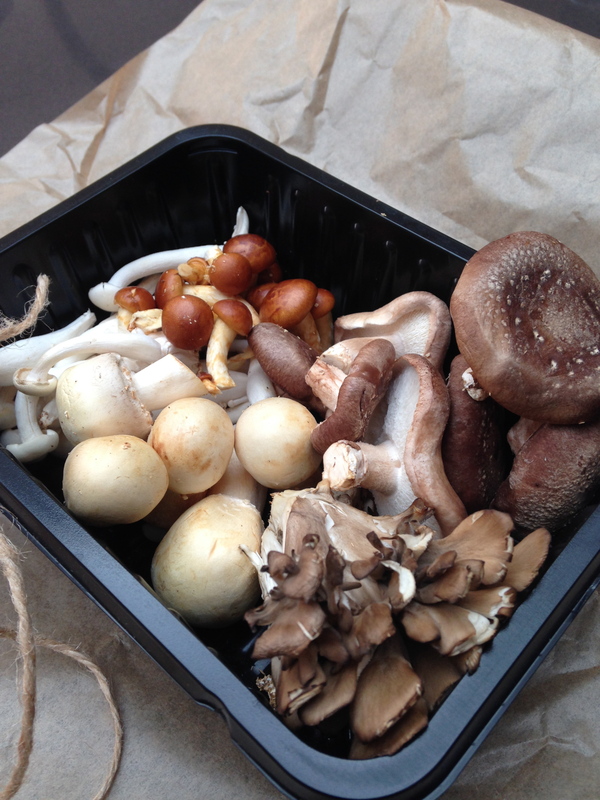 My friend has just started a new job at a mushroom company in Hampshire and I am glad to say that she bought me a beautifully wrapped box of mixed treasures from the range this weekend when we met up. I am always inspired and amazed by my friends and what they achieve and Nic is right up there on that list. In the couple of weeks she has been there settling in, she has already sussed all the varieties, started to get things under her belt and has a clear view on what she wants to do to make her mark in the future. 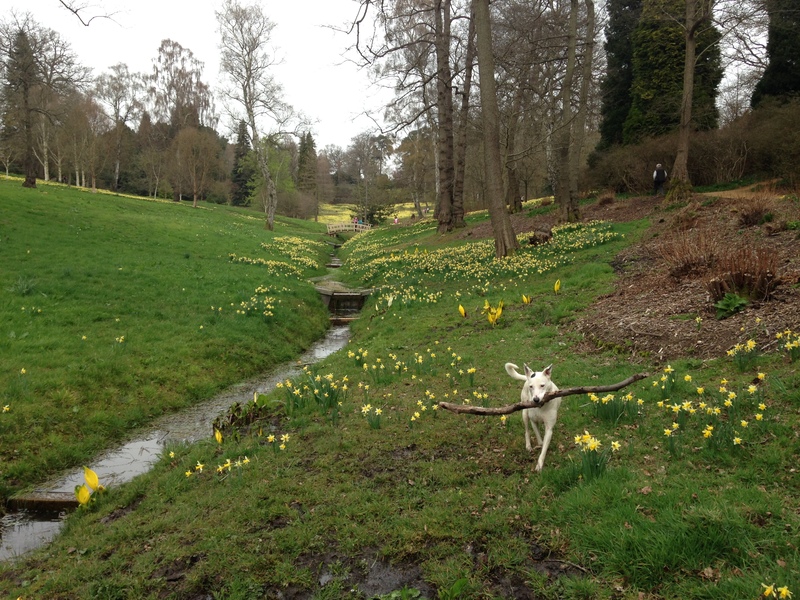 The glorious daffodil fields at Virginia Water…with a rather wet Lola the dog & her stick! We spent a glorious day discovering Virginia Water with her Hazel & Lola. I don’t know if it was the clock change or the sunshine, but it truly felt like Spring had sprung. The 3 km walk around the lake actually turned out to be a 6 mile walk around the lake, so I felt justified in indulging tonight and concocted a mushroom medley for dinner. The mushrooms were a revelation. Not only were the varieties brand new to me, but the flavour and ‘performance’ were equally exciting. These mushrooms had very little water coming from them, which I am told is down to the way they are cultivated, and so the texture and flavour was the best I have had. My mixed box contained…. I thought the most respectful thing to do was to keep the mushrooms as the hero and so all the rest was there to accompany and complement rather than take over. So clearing the dregs from the kitchen, I opted for a touch of garlic, butter, cream and some thyme from my indoor garden, along with lots of seasoning. Served with a simple polenta flavoured with a bit of pecorino and topped with a few more cheesey shavings and a drizzle of olive oil, this was a yummy way to end a lovely day with the Nic ensemble. 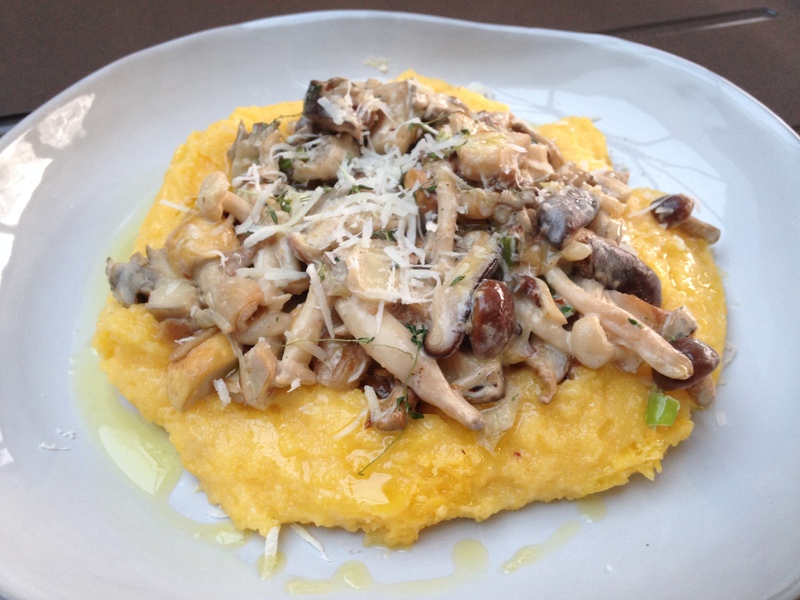 – serve on polenta with a final grating of pecorino and drizzle of good olive oil. This week the British Street Food Awards 2013 were announced and there has been a lot going on since I talked about these awards last year. Street Food has long been the centre of food creativity in many many countries, most especially in the Far East and India. But since it hit the avenues and promenades of the US it has taken on a marketing slant, defining a whole new way of eating. New York quickly tagged on but it was in LA that I really got it. I fondly remember being in Abbot Kinney and experiencing First Friday – a hyper street of food trucks on the first Friday of every month. The food truck is where the city discovered chefs like Roy Choi and his Kogi tacos and in the same way, so young pretenders came into the fold in the UK. I have spoken a lot about Pitt Cue co. who started in an airstream trailer under Hungerford Bridge and now they are permanently placed in their restaurant near Carnaby Street. The mobile food truck was the birthplace of other now permanent places such as MEATliquor, Yum Bun, Homeslice and Daisy Green. This formula of trying out a concept in a more secure and less costly format has worked for many. As individual traders, it is hard to know the best sites to go to and so it is important for people to find ways of pulling together and create a big street in which to eat. 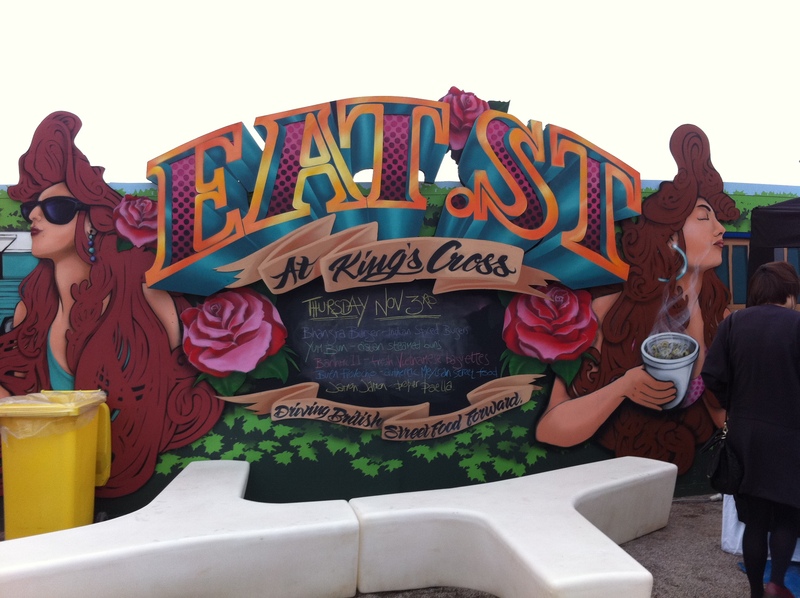 My first experience in Britain was at Eat St in Kings Cross, now under the brand KERB. The team cherry pick the best of the best for their offering every week at the ever growing enclave that surrounds the Kings Cross development. It is such a great place to chill and the mobile offering is a clever position for people discovering all that is in the area. Last weekend I was up at home and my Mum took me to see the new Trinity Centre in Leeds city centre. 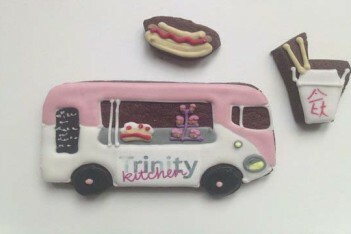 It is quite a development, most fitting for such an important UK city, and then I learned about Trinity Kitchen. Those clever people at the centre decided to embrace the whole street food trend and put mobile trucks on the food floor of their impressive mall, supported by 5 pop up traders to add variety. This team have really understood the fashion and so it was no surprise to see them sponsoring the British Street Food Awards and celebrating the winner with these specially commissioned biscuits. So who won this year? well the top prize went to Bristol based duo from Katie and Kim’s Kitchen. Their stovies, oatcakes and toasted cheese scones were all highly commended in different categories and overall, this added up to the big prize. Entries covered the whole world in cuisine with offerings from across Europe, Taiwan, Mexico and the US. People really have figured out the truck concept and the quality of food is now better than ever. True to form, previous winner Ginger’s Comfort Emporium won again with their incredible ice cream and the one to watch went to Best Young Trader Stan’s Snow Cones. 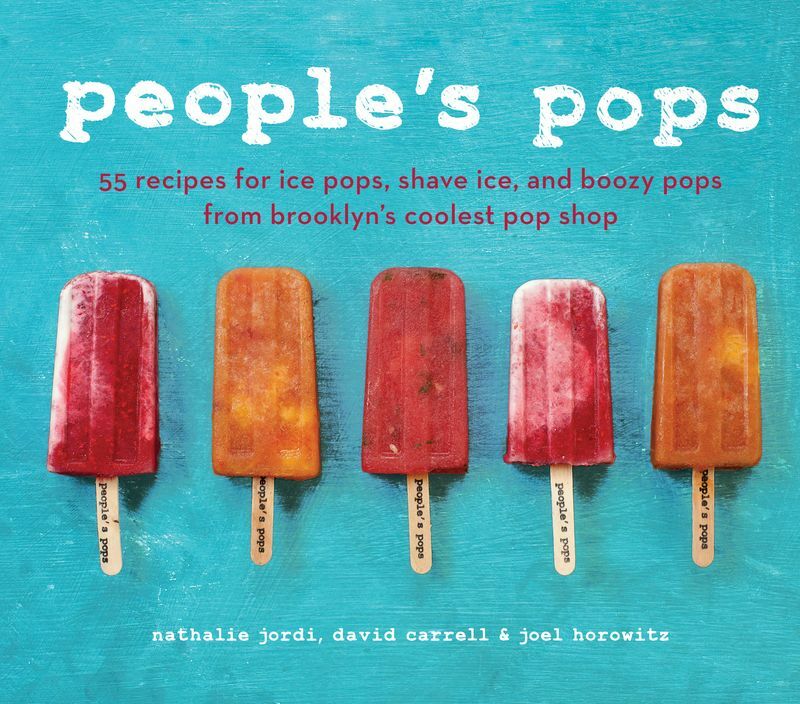 This 13 year old discovered People’s Pops in New York and brought the concept back to Lewes to create his wonderful snow cones. Clever boy.